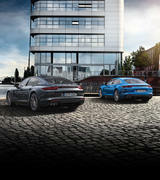 Porsche Centre Sydney South - New GTS models: the Porsche Panamera. 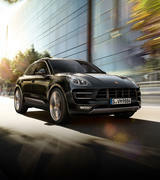 Porsche has added two extra sporty models to its Panamera range. 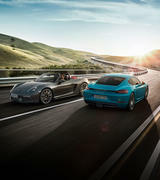 With powerful performance from the four-litre V8 biturbo engine (338 kW/460 hp), extra dynamic chassis systems including three-chamber air suspension, and their own unique design elements and equipment, the Panamera GTS and Panamera GTS Sport Turismo harness a one-of-a-kind performance package. For example, the Sport Design package with black exterior elements and extensive Alcantara surfaces in the interior is included as standard. 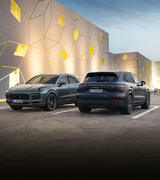 What’s more, Porsche has expanded its portfolio of comfort and assistance systems to now include an optional head-up display with various configuration styles for the entire Panamera range. At the heart of both of the new Panamera GTS models is a four-litre V8 engine generating 338 kW (460 hp) of output and maximum torque of 620 Nm, cultivating an emotional sound and driving experience when combined with the standard sports exhaust system. 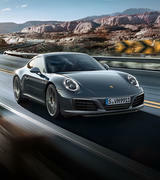 The biturbo engine, which outperforms its predecessor by 15 kW (20 hp) and 100 Nm, propels the Panamera GTS and Panamera GTS Sport Turismo from 0 to 100 km/h in 4.1 seconds as it works in conjunction with the standard Sport Chrono package. 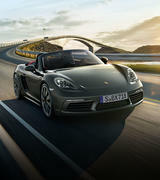 The two models achieve a top speed of 292 and 289 km/h respectively. 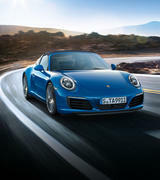 There are no interruptions in tractive force as power is transmitted to the Porsche Traction Management (PTM) all-wheel drive system by the eight-speed PDK dual clutch gearbox. 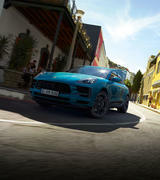 This exceptional performance is achieved with a moderate consumption of just 10.3 l/100km* (Sport Turismo: 10.6 l/100km*); while the CO2 emissions are 235 g/km* (Sport Turismo: 242 g/km*). 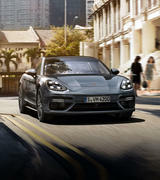 Designed to reflect the sporting prowess of the Panamera GTS models, the chassis systems are impressively dynamic. The adaptive air suspension with three-chamber technology is fitted as standard, which results in flexible control and optimum spring rate spread. 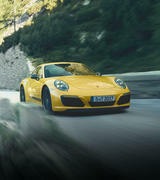 The sports chassis in the two GTS models has been lowered by 10 millimetres, while the Porsche Active Suspension Management (PASM) function has been adapted for an even sportier calibration. The result? Outstanding lateral dynamics. Large brakes, 390 millimetres in diameter at the front and 365 millimetres at the rear, deliver outstanding deceleration. When compared to the predecessor, the new Panamera GTS models’ basic equipment package has been significantly upgraded in a number of areas. The Sport Design package with a new front apron in black, and black trims at the rear apron, along with a variety of darker elements, highlights the more athletic appearance. 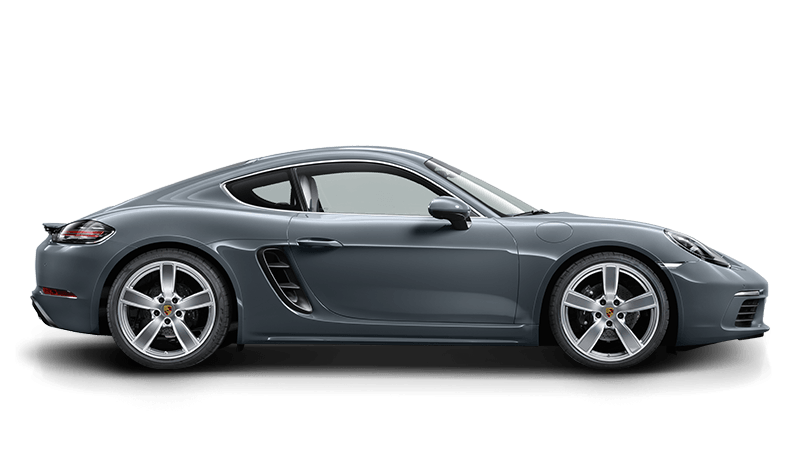 The GTS models are equipped with 20-inch Panamera Design wheels painted in black as standard. The interior features hallmark elements of Alcantara on the seat centres, door panel armrest, centre console and a heated multifunction sports steering wheel with gearshift paddles, while the interior trims are finished in anodised aluminium. 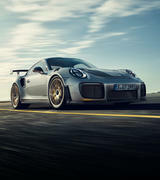 The standard package also includes Connect Plus featuring the LTE telephone module with SIM card reader, Apple® CarPlay and the Porsche Connect App #. With the optional Interior GTS package, drivers can customise their Panamera GTS models with various design elements, such as the rev counter, designer seams, and GTS logos in the contrasting shades of Carmine Red or Crayon. 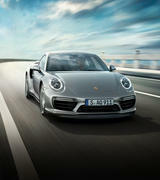 The GTS models offer all the same innovations as the second-generation Panamera range. 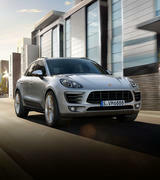 These include the digital Porsche Advanced Cockpit, assist systems such as adaptive cruise control, Surround View, comfort access and the optional rear-axle steering. 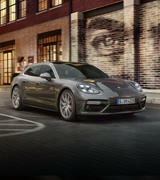 The GTS also features one highlight that is new to the entire Panamera range – the head-up display. The display can be configured by the driver and projects all relevant information directly into their direct line of sight in full colour. 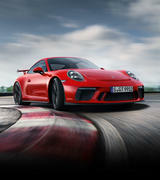 As is tradition at Porsche, GTS stands for Gran Turismo Sport. Porsche’s first road-approved sports car, the 904 Carrera GTS, was launched all the way back in 1963, bringing racing technology to the streets. 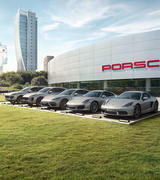 This was followed by the 924 GTS and 928 GTS, which cultivated the concept throughout the 1980s and 90s. In 2007, the GTS celebrated its revival with the Carrera GTS. 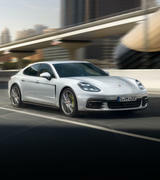 The first generation of the Panamera GTS followed in 2011, initially available as a sports saloon only. 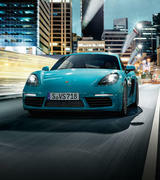 Now, the new Panamera GTS is also available as a Sport Turismo. With a large boot lid, low loading sill, increased luggage compartment volume and 4+1 seating configuration, the new GTS variant based on the 2017 model meets the highest of standards for everyday driving, while also delivering outstanding performance. 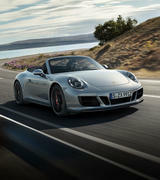 The new GTS models are available to order now. 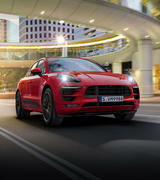 In Australia, the Panamera GTS is available from $364,100^; the Panamera GTS Sport Turismo is available from $371,400^. 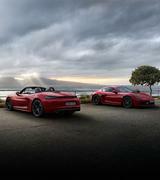 Both GTS models are due to arrive in Australia in the first quarter of 2019.